Posted on September 7, 2018 October 14, 2018 by Mat A. What is a side hustle? There’s a few definitions out there. The main idea is that you work a full-time job for someone else that covers most of your bases. Most likely you get medical benefits through your full-time gig and a few other benefits. That’s your day job. 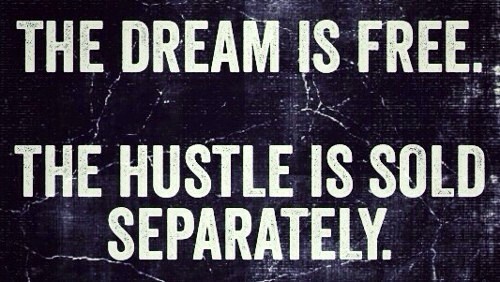 Then you have a “side hustle” which is something you do in addition to your day job. This could be driving for Uber or starting your own business. I’ve seen definitions that are more entreprenurial focused (working on your own business) and others that are all about bringing in extra cash. What a lot of people struggle with is how to find your side hustle. 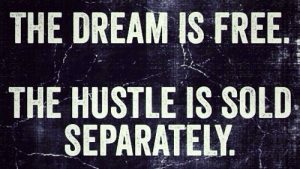 Which really depends on what you are wanting to accomplish by engaging in a side hustle. Let’s take a look at what might constitute a side hustle and then I’ll share some ideas of how to find your side hustle. What’s your reason for wanting to have a side hustle? Are you wanting to simply bring in more cash for some reason? If you are anything like me you tend to live at your budget. As in I make enough money to pay for the things I need. What I personally side hustle for is money for things I’d like to do. Some of these things include adding to my daughters college funds, more into my retirement, paying off house costs (hello new heater, water heater, and AC coil this summer), and things like that. Sometimes I’ll buy something fun too. 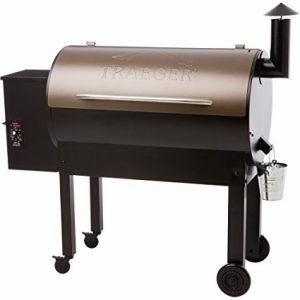 Right now I have my eye on a beautiful Traeger Pro Series 34 Texas Elite Grill. This bad boy is going to be mine the next time I get a uptick in my side hustle. If you want to build something (like your own business) but can’t go without your day job, you might be having a side hustle for that. Maybe you are doing some freelance web design for extra cash and eventually want to go into business for yourself. Might be you are an accountant by day but have started your own cake baking and decorating business that you want to do full time at some point. These are also side hustles. One type of side hustle you are doing for extra money. The other type you might also make extra money but you are doing something you are passionate about. Whatever your reason, for additional cash or doing something you love, this is what a side hustle is. Before you think about how to find your side hustle you should decide if you want to. It really depends on what you want to achieve. Look at it this way. If your day job (primary source of income) provides you with plenty of money to take care of everything you need and you are passionate about it, you probably don’t need a side hustle. In this scenario you are getting to do what you love to do everyday and getting paid a bunch of money for doing it. What’s the downside here? There really isn’t one. The only reason you might want to side hustle here is if you had a hobby on the side that you loved doing. Something like playing in a band or painting and taking your art to shows. 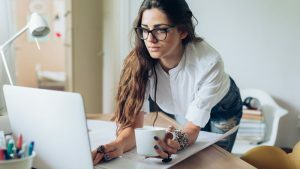 In my opinion there are two main reasons you should consider a side hustle. You want extra income – If you are like me and make enough money to pay for most of the stuff you want that’s a good place to be. However, I like to make have safety nets such as a decent savings account. I also like to sock away more money whenever possible for the daughter’s college education. I worry about retirement so I always like to put more in retirement whenever I can. And when things pop up that I hadn’t planned on (like replacing 3 house components in the same summer), it’s nice to have the money to take care of it without freaking out. You want to build your own business – This website is a side hustle in a way for me. I love working on it. Eventually I want it to be be part of my income flow but for now it’s like building something. I love doing it. I look forward to the process of of it. When I write a new post I feel as though I am creating. Having this website and working on it feeds my ongoing urge to create and build. It scratches the same itch as when I used to paint and draw, just in a different way. Having a side hustle certainly will help you achieve a goal you might have, making more money or building your own business. There are some things you should keep in mind when you think about how to find your side hustle. 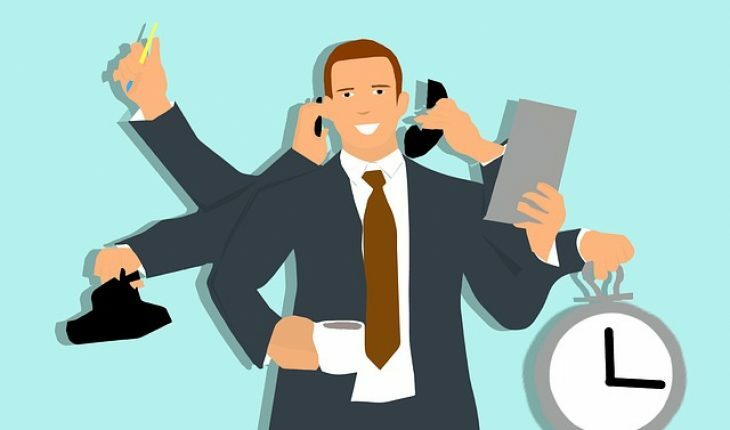 Having a side hustle will take away some of your time. Doesn’t matter if you decide to drive for Uber 10 hours a week or create the business plan for the flea circus you’ve been dreaming about. We all have the same amount of time in a day, week, and month. It all depends on how you choose to use them. You can use your down time for binge watching Ozark on Netflix (I love it) or something else like a side hustle. If my 2 daughters were 10 years younger I’d have a hard time making the time for this website. To have a side hustle you need to be driven. Or at least kind of driven. Many people like to put in their 8 hours a day at work then chill. Play on their phones, watch the tube, etc. Or if they’ve got other things in their life outside of work, like kids or someone else they need to take care of, there isn’t much energy left. I think it’s different for everyone. Sometimes you’ve got the energy and bandwidth, other times you don’t. I think there’s 3 ways to look at how to find your side hustle. If you are passionate about something that’s the best place to start. Being in a band is a great example. The fact that I am typing up this blog post on Labor Day tells you I’m pretty passionate about my website. If you want to start your own niche website, look no further than Wealthy Affiliate. Click the link to learn more. 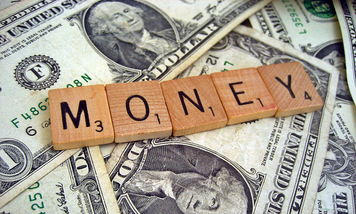 Also leveraging your current skills to bring in additional cash can work. Just think about ways you might be able to use your skills and experience in ways to create more income for yourself. An easy one that comes to mind is marketing. If someone is employed in a marketing department in a big company they can probably do some side projects for others who need marketing done without any conflicts of interest. Perhaps you are an accountant at your day job and you can use those skills to keep the books for a couple of small companies. If your primary goal is to earn some extra cash and you aren’t picky about how you do it, there’s lot of options for that. Read on to learn more. I’m going to list a few of the bigger ideas for side hustles here. There are literally hundreds, if not thousands, of ideas out there. In the next section I’ve provide some great resources that are inexpensive to help you figure out how to find your side hustle. Driving – I feel like I had to put this one first. Obviously Uber and Lyft are the big ones depending on where you live. Pretty easy to get started and you can work as much or as little as you’d like. Airbnb – I’ve thought about doing this with the spare bedroom in my house. If you have a room to spare or have a place you don’t live at full time you could list it on Airbnb and make extra cash. Teach Online – Ever heard of Udemy? It is a super impressive online education platform where you can learn just about anything. As a teacher you can create your own tutorial in a subject you know well and charge the tuition you want. Affiliate Marketing – earn money when you recommend a companies product or service. Not all companies have an affiliate program but many of them do. It takes a while to this one going but it is rewarding. Here’s a link to the way I do it at Wealthy Affiliate. Click on this and sign up and see for yourself. Teach English – I love this one. While I don’t know anyone personally who does it I sure hear and read about it on a regular basis. You can earn up to $20 per hour teaching English to young kids in China with video chat. One of the big players here is Qkids. Here I’ve listed some resources that can help you in your quest of how to find your side hustle. Each of these are fairly inexpensive and provide a great wealth of information and ideas for you. Side Hustle Blueprint: How to Make an Extra $1000 per Month Without Leaving Your Day Job – By Lisa Cartwright. Side Hustle Millionaire: How To Build A Side Business That Creates Financial Freedom – By Tony Whatley. Hopefully I’ve helped provide some insight into how to find your side hustle. Bottom line is there’s a lot of different ways to look at earning some additional coin, cash, moolah, scratch, or whatever you want to call it. Whether you needing some more money to help fund an offspring’s upcoming college or unexpected house repairs (both in my case), you’ve got options. Use you the resources here and many others out there. Put a little hustle in your step and figure out how to find your side hustle. It’s a way to take control of your life and go get what you want. Which side hustle can be best for me. I have my day job 9 to 5. I don’t have much time. Maybe extra 3 hours to work on everyday. I wanna see some results too. Any other program that I can do besides in the list? I don’t want something that can be tiring because I will be tired after hours at my day job. Thanks for stopping by! There are thousand’s of side hustle ideas, many that fit your time and energy constraints. I’d suggest doing some online searching or buy one of the books I suggested, they are full of great ideas. I sort of work part time now as I share my full time job equally with someone else. I do this to be around for my young kids. It gives me a lot of time though when they are in school. I,did drive Uber and Lyft for a coup,e of years, but I could on;y go out a couple of hours a day and had to be back for the kids. Now it’s affiliate marketing which is so much easier time wise. Thanks for the input. I feel like I’d be hard pressed to not have a side hustle now. I think I’d be bored! All the best, Mat A. My pleasure Tony! It’s a great book!